I've been working on something new for a client, the early stages of some rebranding. There's lots of peach, dusky pink, dark navy and interesting textures, it's definitely a fun one to work on, even more so when it's all of my own favourite colours. 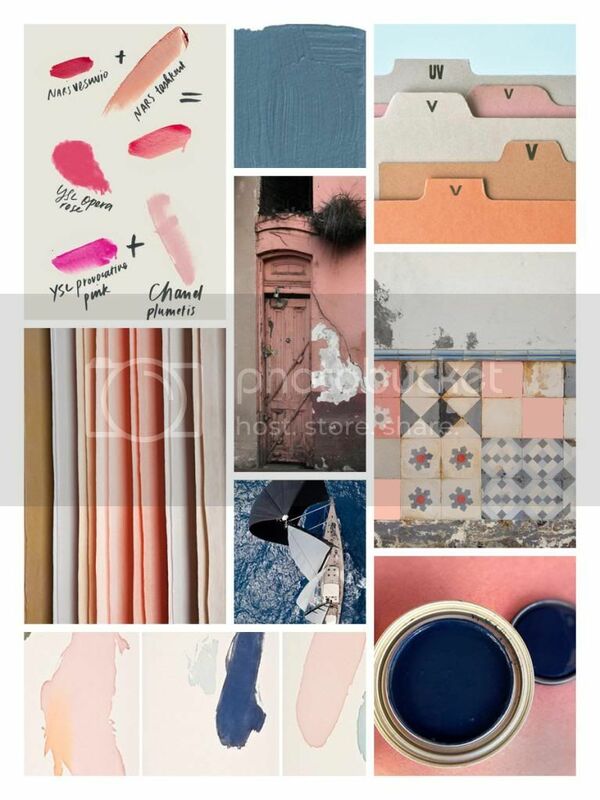 Here's a look at a moodboard I prepared to show the client, to ensure our visions for the project were aligned and we were heading in the right direction!